In the scorching heats of Menifee, Riverside, and Moreno Valley CA, surviving the heat is undesirable. That is why we encourage our old and new customers to use powerful and smoothly functioning air conditioning units. At Aire-Tech, we understand the significance of great AC Systems and what it takes to optimize your air conditioning performance. We provide advanced and technically enriched solutions to fulfill your air conditioning requirements. Empowered with the latest HVAC technology and inspired by the idea of energy efficient cooling, we aim to serve our clients with a groundbreaking range of innovative solutions to benefit them directly and indirectly. Ductless units are designed to provide heating or cooling to a specific area. These ACs do not fit in the window as they are a total of two units, which require indoor and outdoor setup. This method of energy is efficient and hassle free cooling method that will fit seamlessly in your household or workplace. If you are still fond of the portable and traditional window AC units, then we at Aire-Tech also have an enormous range of solutions available for you. Ranging from a selection of air conditioning unit which includes installation, routine maintenance, and repair, we are here to always here to offer our best. People from commercial and residential areas choose us because we use some of the latest HVAC technology and advanced engineering tools in the industry. Big houses and commercial spaces such as shopping complexes, offices, retail stores, and restaurants, etc. prefer the central air conditioning approach. Areas that are wider in diameter often are challenging for HVAC units. It is difficult to change the temperature levels of such locations unless central cooling is in use. Aire-Tech’s trained HVAC experts not only help you to choose such brilliant AC Systems but also provide suitable tips for safe air care and maintenance of the units used. Central units for air conditioning have a different mechanical and technical structure. Hence, these units require being operated under specific guidelines. 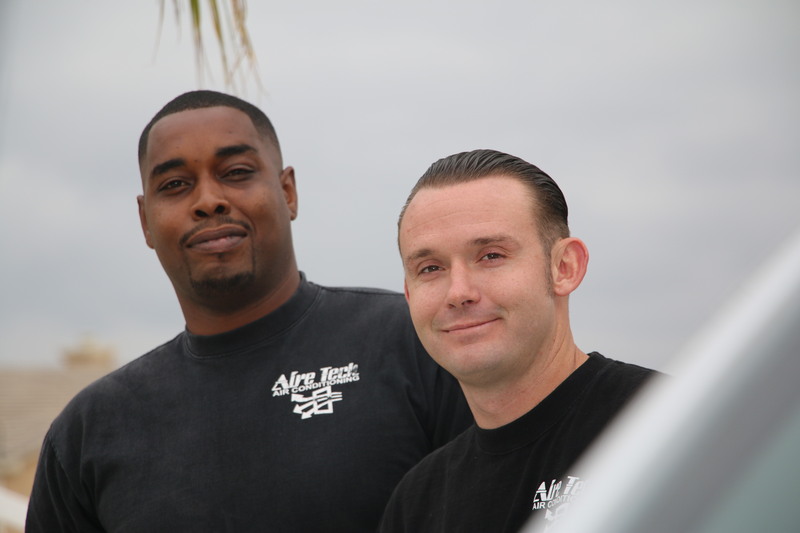 Our experienced team at Aire-Tech will help you with the care of huge AC Systems and how to use them more effectively. AC Systems, if not used correctly, in the beginning, might disappoint you with their poor performance. It is very important to have certified professionals that work on your units for proper service and maintenance. When units are not set up correctly initially they will develop leakages and breaks. Thus, working with certified professionals can limit your down time and problems with your units. At Aire Tech, we believe that your comfort and health both are important. Therefore, whenever we install the latest AC Systems in your home, we are focused on keeping your environment protected, energy efficient with indoor air quality in mind. Aire-Tech offers a wide range of quality AC systems for you to choose from. Contact us at 951-926-1002 today for more information or to schedule an appointment.